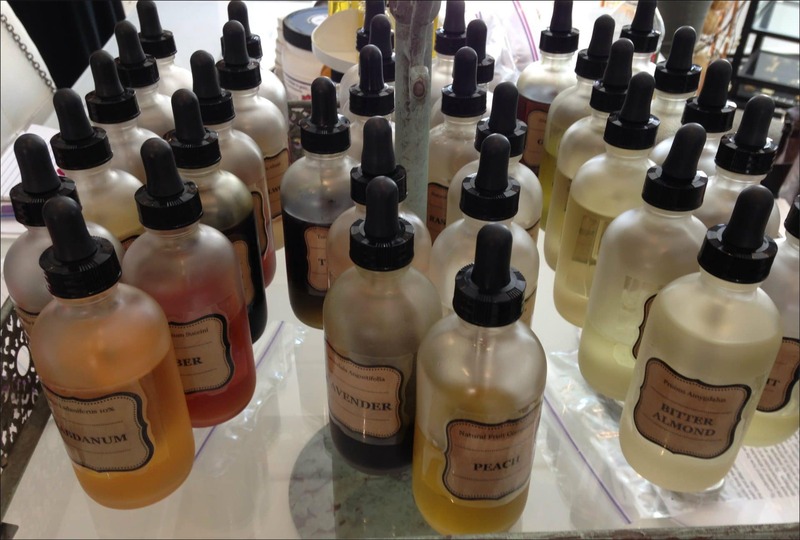 I love natural perfumes, and for a while now, I’ve been thinking of adding a natural oil based perfume to my Alegna Soap® line. 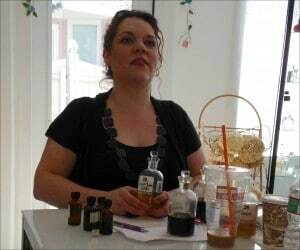 When I saw that Providence Perfume was offering a class called “Creating Solid and Oil Based Natural Perfumes“, I quickly signed up for the spring class. So at 6:30am this past Sunday morning, I was in Orient Point waiting on line for the ferry to take me and my car across the Long Island Sound. Charna’s shop is on the funky Wickenden Street in Providence, Rhode Island. The area itself is a lot like Greenwich Village. 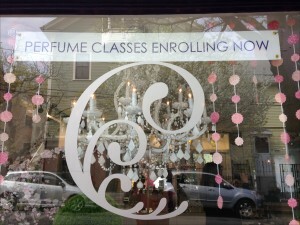 Cute, eclectic shops, interesting restaurants, and of course, Providence Perfume. Her shop st smells like heaven, is expertly decorated and her perfumes are beautifully displayed. I’ve been to her shop before and each time I come back I love it even more. After introductions, we started on our “fragrant journey”. Charna spoke about fragrance family classifications and strength classifications. She also spent some time teaching us how to determine if we are using a top, middle or bottom note. Finally it was time to get down to business. 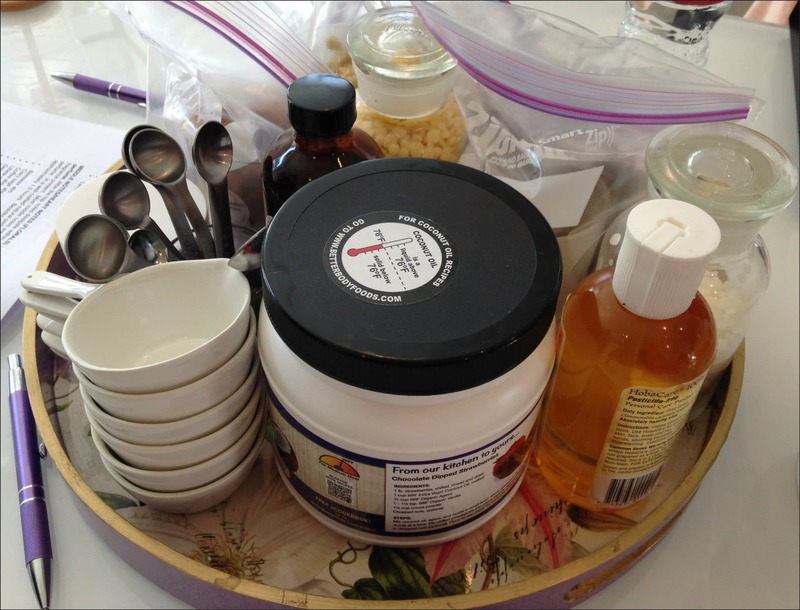 We started creating our own solid perfumes from beeswax, floral wax, fractionated coconut oil and jojoba oil. The base of a solid perfume is important, you don’t want it so hard you can’t get it on, nor do you want it too soft that it runs. The solid perfumes were easy to make. You don’t need to be so concerned about balancing the aroma. 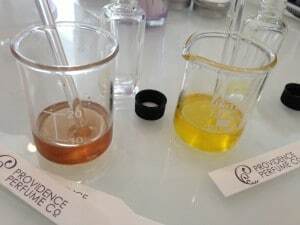 A perfume with a solid base doesn’t have the nuances that the alcohol or oil base does. 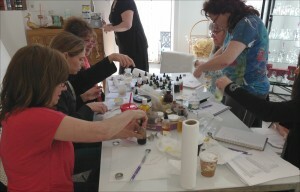 After a short break for lunch we moved on to oil perfumes. These were a little more challenging. It seems the oil base covers the aroma of the essence and you need to use more in an oil base compared to alcohol base. It is difficult to fix the scent, especially the top note. We made one perfume in fractionated coconut oil and the other in jojoba. These perfumes needed to be balanced the same way as a perfume in alcohol does. It’s tricky to do, because smelling the perfumed oil on a scent strip is hard. But Charna taught us a way to make it easier. I loved all her helpful hints. All too soon it was time to go home. I left with 4 solid perfumes, 2 oil perfumes and the confidence that soon I will be able to create beautiful solid and oil based perfumes for my company. Thank you Charna! I can’t wait to smell them, Angela! Love seeing Lisa on the blog too. Great inspiration here. Anne I had such a good time in the class and with Lisa. We were able to chat while working together. This looks like such fun! I took a natural perfumery class in California too, and it was amazing. 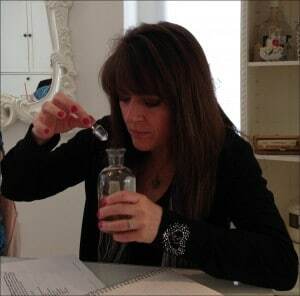 Can’t wait to see how your perfumes turn out! Alice who did you study with? I’d love to travel to Cali and take some classes. Maybe in a few years! This looks like great fun! 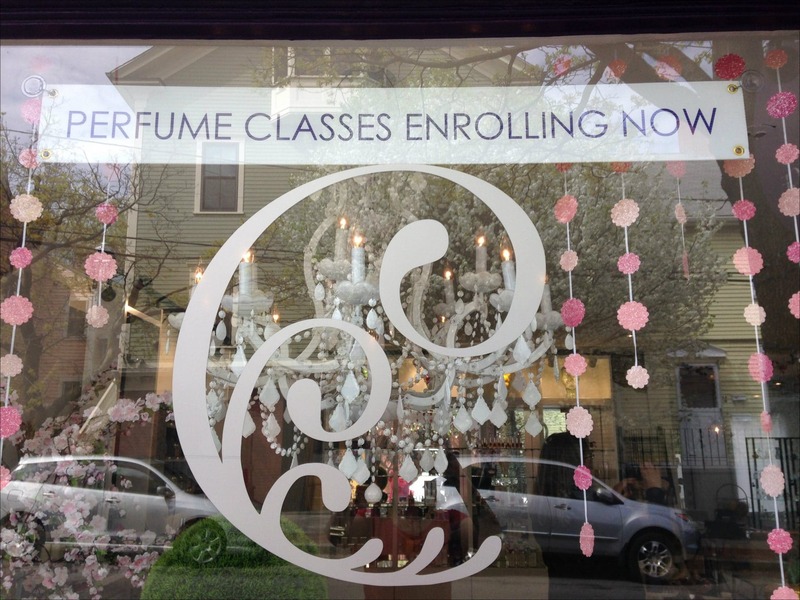 I took a natural perfumery class in New York too, and it was amazing. I wonder if we took the same class?